Fall is here, my friends, and I could not be happier! It seemed like everything changed in an instant and summer has quickly disappeared behind us, leaving the weather crisp and and the leaves changing to vibrant hues. One of the many reasons I love fall is the fact that I can bring out all my sweaters and wear them without sweating to death. Sunday, for example, was one of the first cooler days, so naturally I whipped out my new tunic sweater (it's even better in person, let me tell you) to wear. Since it's still the beginning of September, I paired it with my white skinny jeans to brighten it up a bit. 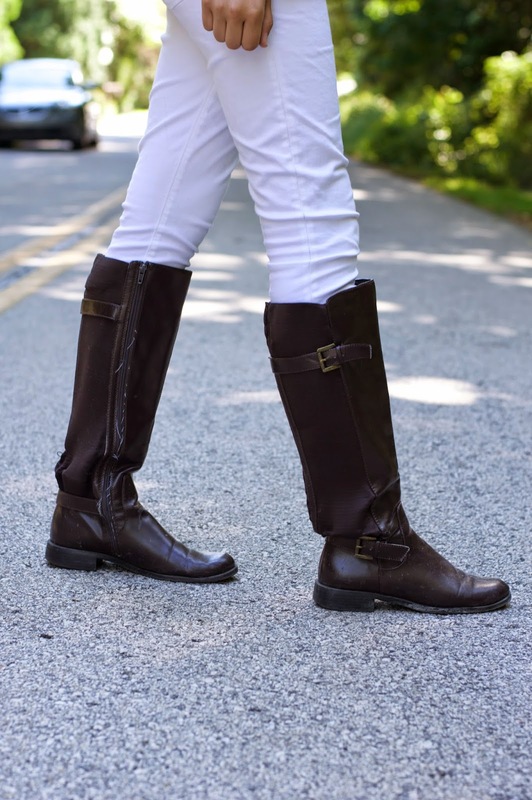 But, I couldn't resist and ended up taking out my favorite riding boots to throw on as well. 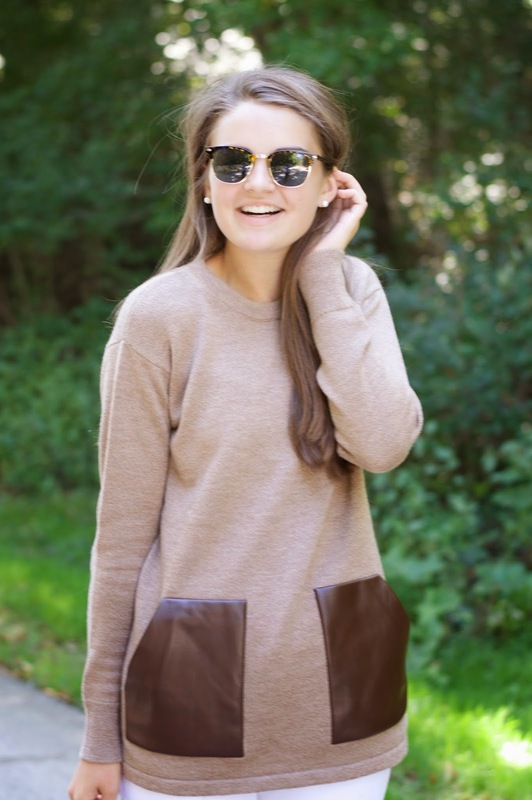 Maybe I'm biased because it's my favorite season, but this has got to be my favorite outfit post yet! It's a super simple look but still makes you feel dressed up and put together. 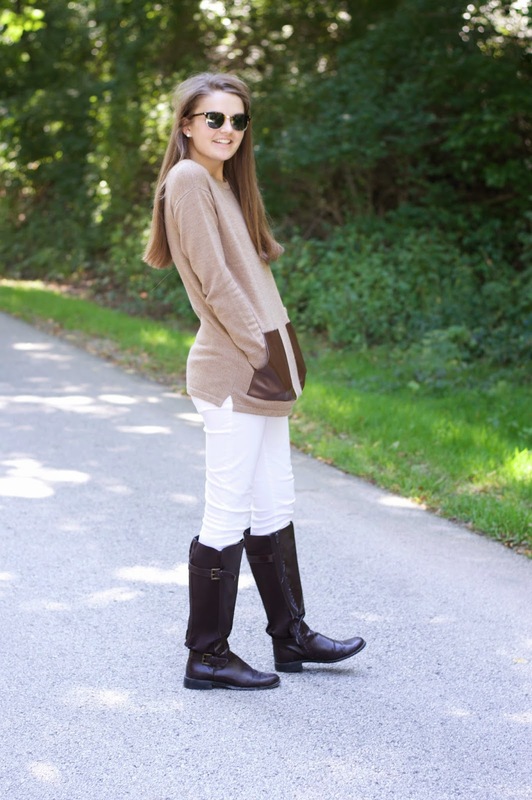 Are you so excited to start wearing fall clothes too?